What do you get in a £5 valet? to one of these drive in places, the results are pictured below! 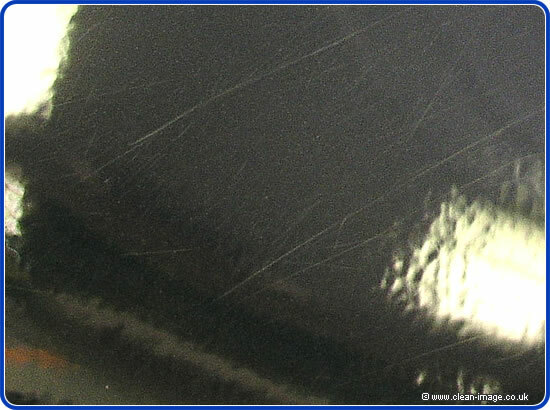 Top of door - our guess is that this was caused by a dirty sponge covered in grit. 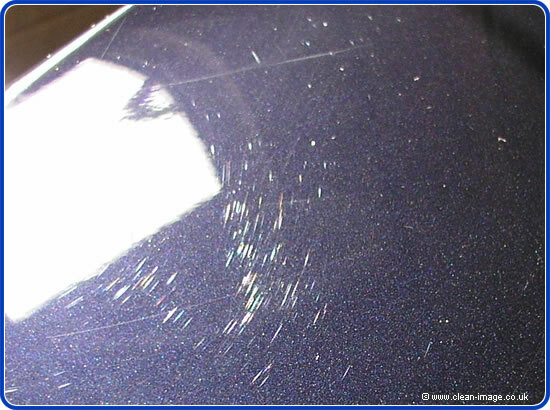 The whole car was absolutely covered in scratches! 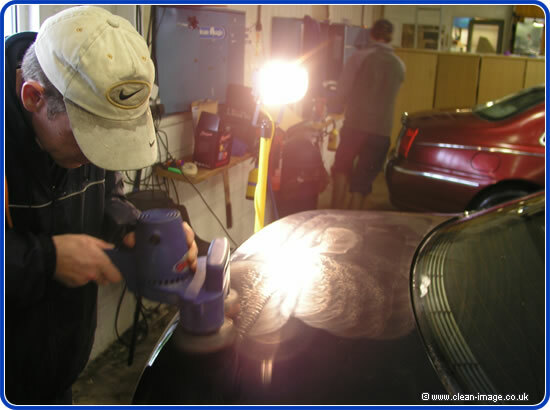 Mark sees what he can do with it, machine polishes the car boot twice, with two different grades of polish and pads. 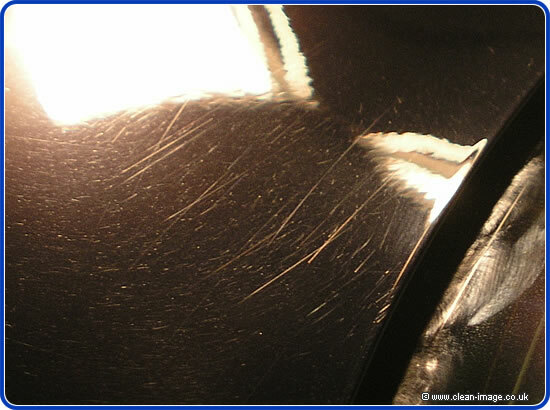 After machine polishing - most of the washing marks have been removed, but the deeper scratches remain. This car will require much more work to get it looking like a car which is only 3 weeks old and has only 400 miles on the clock! sure they used the correct gear and plenty of clean water. washing your car yourself, then you should ensure that whoever is is following these instructions. 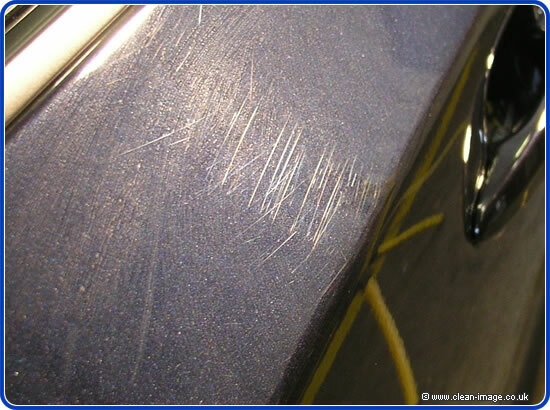 The damage pictured above was basically caused by bad washing technique and lack of care. without causing scratches, this is pretty much as soft as a baby's hair brush. We also suggest using a wool wash mitt rather than a sponge which is hard and can trap grit. which is a fair bit smaller than the one pictured. seeing damage like this all too frequently. ask £650 to put it right. 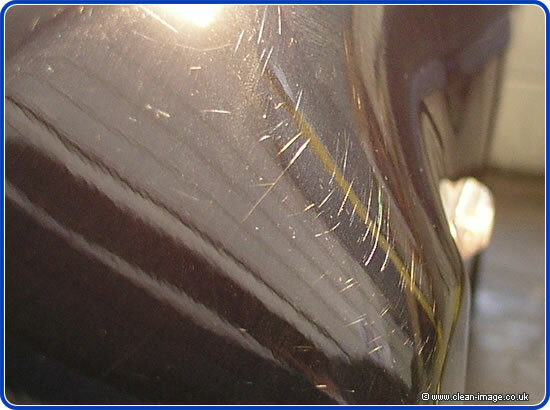 Why you should just stay away from them and clean your car yourself! The in's and out's of personal car leasing, business car leasing and contract hire.